Get Nailed Beauty Lounge, overlooking High Street in the heart of downtown Portland, is not for everyone. If you have delicate sensibilities over things like cursing and don’t appreciate sarcasm, this probably wouldn’t be the nail salon for you. But if a “let’s get to be friends” atmosphere, with lots of joking and laughing and often-irreverent humor sounds like your speed, Get Nailed might be your place. If some people are turned off, that’s OK, she says—just as many or more people will appreciate her fresh approach. And she must be doing something right. The salon is open Tuesday through Saturday by appointment only, and Nguyen says she’s booked two weeks out. Requiring appointments provides time to get things right, she says—“I don’t want anyone to feel rushed because we need to get to the next person”—and gives her the flexibility she needs as a mom to two, ages 1 1/2 and 8. That’s by design for Nguyen, 30, who was clear on precisely what she wanted for her business by the time she teamed up with a friend to share fourth-floor space at 142 High St. It had taken time to find her niche. 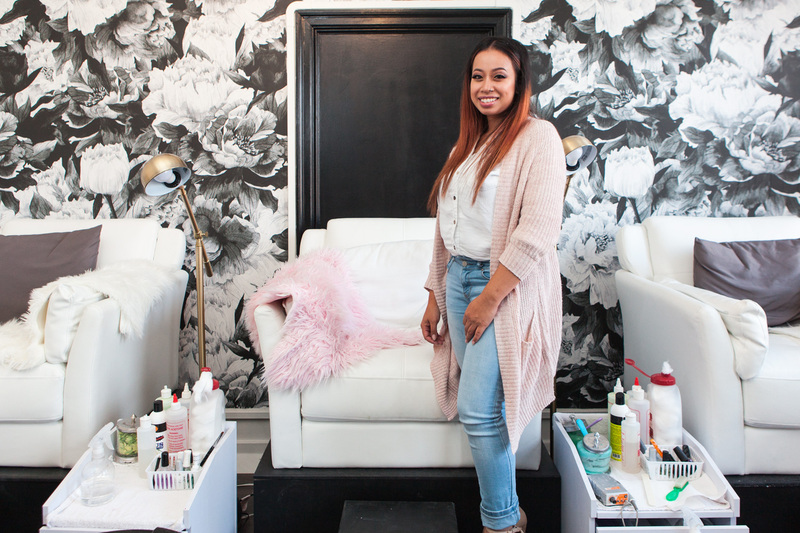 She graduated from Cali for Nails Academy in Boston, but she also tried going to school for biochemistry and earned an LPN license from Intercoast along her way. 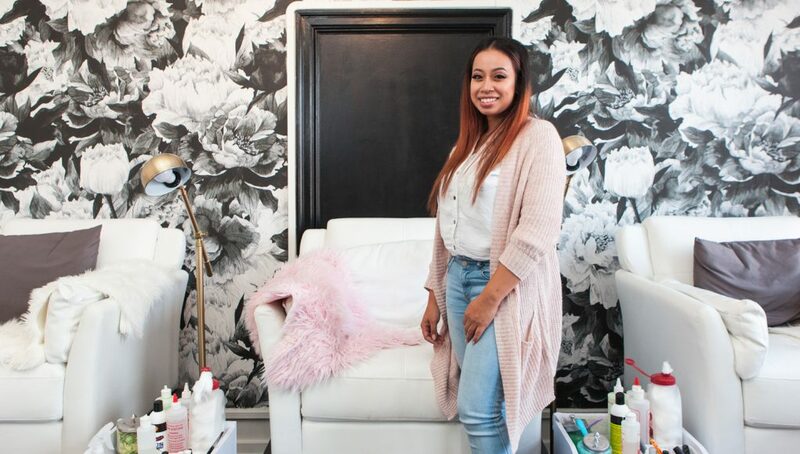 She eventually returned to doing nails – she got her nail license on her 21st birthday – because it satisfies her artistic and business talents, but it wasn’t a smooth path to her own business. 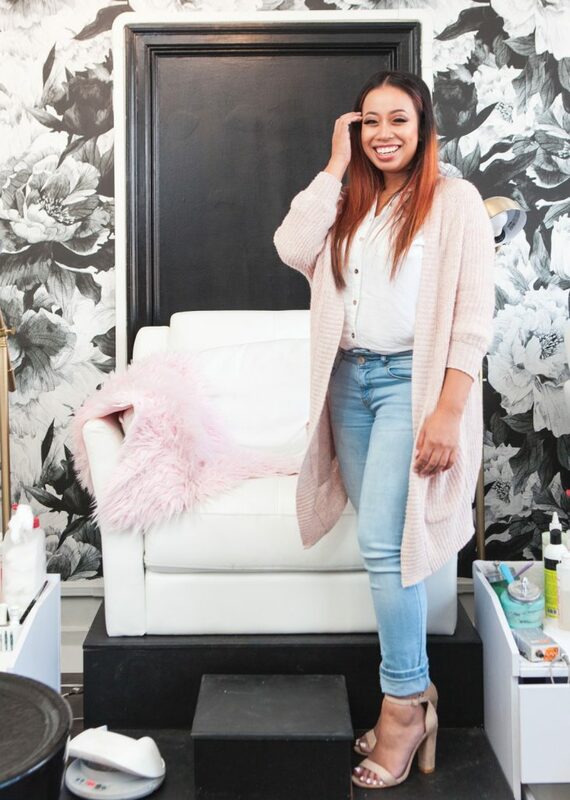 She had hopped from salon to salon for years, experiencing good and bad bosses, service and conditions, before renting a booth in a Portland house as Nailed by Nancy—the last stop before Get Nailed Beauty Lounge. Through those years, she’s learned what works for her and what to avoid. Like stuffy and discouraging people. And less-than-top-notch sanitary conditions. 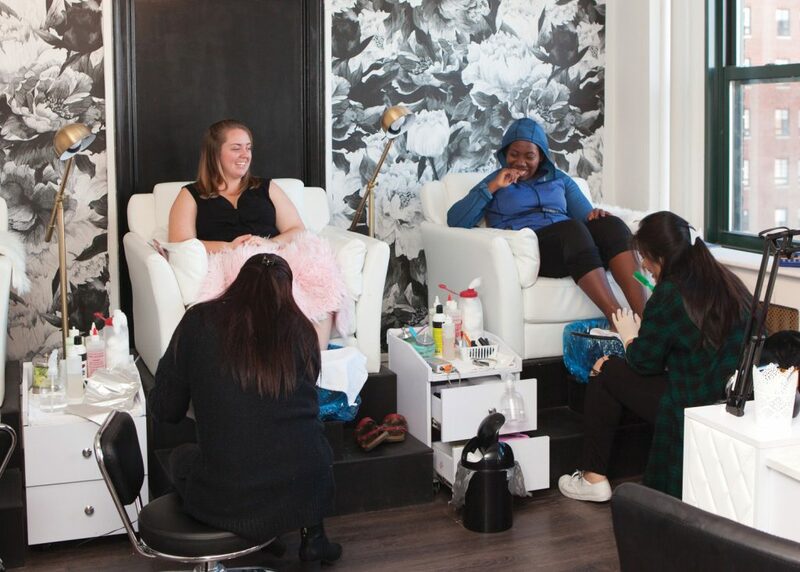 Hence, the no-subject-is-taboo atmosphere and doing some things deliberately differently, like opting for deep pedicure bowls that are not hooked up to a pump and get a fresh liner for each client. And she’s also heavily focused on intricate nail art, despite naysayers telling her it would never fly in Portland, Maine. When pondering how to achieve a certain look, YouTube has been known to come to the rescue. And Instagram has been her biggest source of advertising and business. 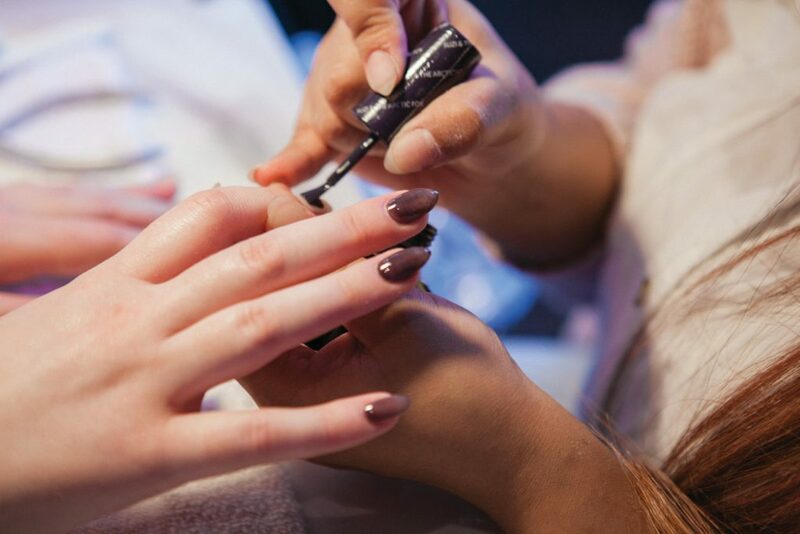 High-quality work is her highest priority, she says, noting that a typical price for a regular manicure in Greater Portland is about $25–$27. Hers start at $35. Nguyen says she appreciates a trend toward a little more flash when it comes to nails.